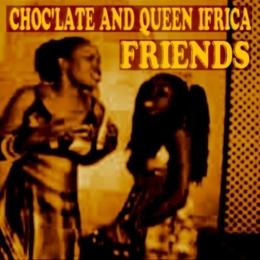 WWW, October 2008 - In this video, we meet female vocalists Queen Ifrica and Choc'late as they hail up family and friendship in an upfull, joyful tune. Positive vibes fe true in this video clip produced by Wayne Benjamin, a hard working brother whose many productions all feature up and coming Jamaican vocalists. Time and time again, he provides another proof of the fact that consciousness has not left Jamaica, in spite of what some people sometimes might think. The two sistren in featured in this video clip big up friendship and family in a heartfelt tune. 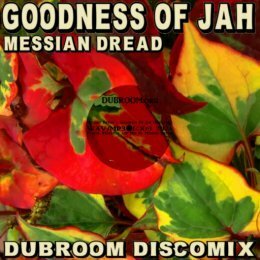 The riddim is upfull and joyful, has a few slices of dancehall but can overall be considered as a fine, contemporary, Roots Reggae tune. 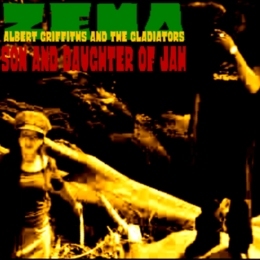 WWW, December 2007 - Roots Dawta ZEMA teams up with the Gladiators and the result is an upfull Roots Reggae track with an encouraging message to the children of the Most High JAH. ZEMA is one of Reggae's top female vocalists. She is based in Jamaica, where she also records and she does so for a long time. All her releases feature Reggae Originators and uplifting, conscious messages expressing her faith in the Most High without apology. The sistren tours the whole world with Reggae Legends the Gladiators, and in this video they also perform together. In what could be called a duet, the Roots Dawta and Reggae Originator meet and identify themselves to be children of the Most High on a crucial Roots Reggae beat. 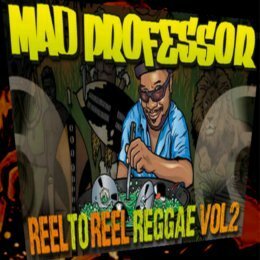 The documentary, which is part of a CD series called "From Jamaica to Toronto", has been graciously donated to the online (DUB) Reggae community by the publishers. It tells the story of the birth and early development of Jamaican Reggae in Canada. There's some semi-acting going on, but this is just to make a couple of things clear. For example, the fact that many Jamaicans migrated to Canada even back in the 1970's which caused the birth of a Reggae scene in the North-American country. Well known names such as Jackie Mittoo, Johnny Osbourne and Willy Williams, the Canadian Reggae scene was not to be underestimated. 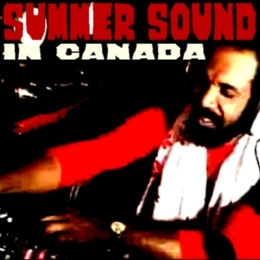 But still, it is a part of Reggae History that is not widely known and if only because of that, Summer Sound In Canada should be watched by every self-respecting Reggae fan. The name "Summer Sound" doesn't just refer to the fact that the Jamaican climate had an influence on the music itself. It's also a reference the name of the very first Reggae Label in Canada, which some even say was Canada's answer to Lee Perry's Black Ark Studio. We'll meet with Willy Williams and Jackie Mittoo in Canada, as they record in the -then freshly started- Summer Studio. Great sights from sessions in the studio, interesting interviews and sceneries complete a very interesting and historically very relevant document. WWW, December 2007 - Almost 20 years after the event, Early B -dressed up like Haile Selassie- gives an impressive musical report of the Emperor's visit to Jamaica. The year is 1985, and Early B is about to give a massive performance in Jamaica. Backed up by a crucial band playing the "Pass The Kutchie" Riddim, the Rub a Dub MC enters stage dressed up like Haile Selassie when he visited Jamaica back in 1966 and starts to talk about it. In retro-spective, it is kind of clear how the musical developments in Jamaica were leading from the more chilled-out Rub a Dub beats towards what we now know as Ragga or Dancehall. The band plays and stops, but doesn't quite get there were they would be a few years later. WWW, December 2007 - Musically, the Drum Song Riddim incorporates the Nyabinghy rhythm as well as the standard Reggae rhythm. So in a way, "Drum Song Style" really refers to a specific style! When you dance on an ultra-new Dancehall release, chances are you're really dancing on a decades-old riddim first played in Studio One. 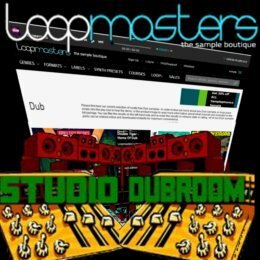 The Drum Song riddim has it's cradle in that studio too, when Jackie Mittoo released the tune back in 1967 (Source: JAMRID.com). 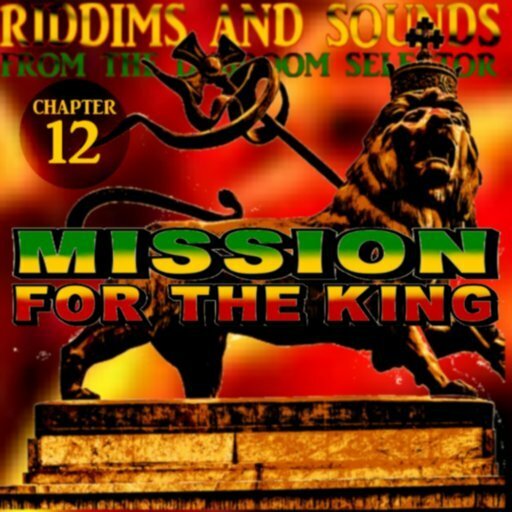 With a very monotonous bassline and a drum that resembles the Nyabinghy as much as the standard Reggae rhythm, the riddim has served as backing for many, many conscious and spiritual tunes by just too many artists to mention. 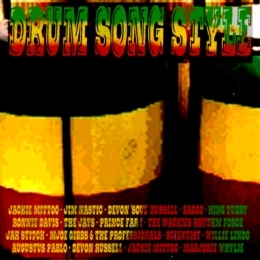 "Drum Song Style" contains an excellent selection of twenty-one tracks incorporating the Drum Song Riddim. The nice thing is, that the riddim is used in so many different variations, that you don't even realize how you're listening to a one-riddim mix and that says a thing given the fact that the podcast lasts well over 50 minutes. WWW, December 2007 - Get ready for a deep, deep journey into the mystical realms of Adrian Sherwood's On-U Sound from the early 1980's into the present time. When Adrian Sherwood started releasing his experiments and DUB excursions beyond the realms of Reggae, he took a special place in the history books of Reggae Music. Until this present day he maintains his position as head of one of the most remarkable stables UK DUB. 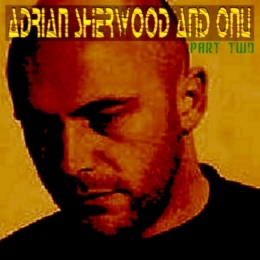 In fact, counting Adrian Sherwood among the UK DUB engineers would not give him the credit he truly deserves. He has a truly outernational perspective on his productions and even though Reggae and Jamaican Reggae in particular is the roots of his products, nobody is really surprised when he will incorporate elements of other musical streams and styles in his releases as well. Ravi Shankar, for example. The Indian Sitar player made his name during the 1960's when his works (called Raga's) were made popular by the Beatles (or some other band). 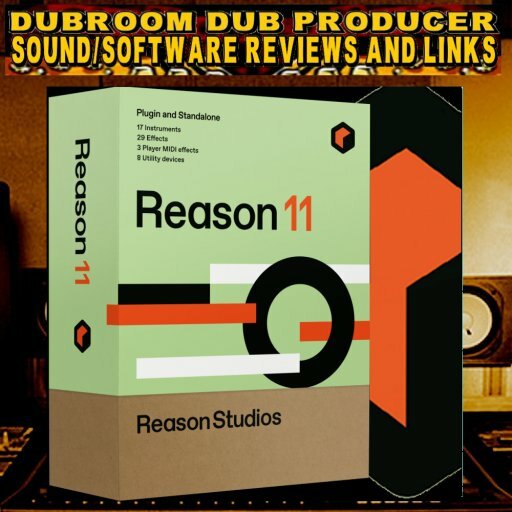 We will hear him, as well as a whole number of artists produced or released by Adrian Sherwood in what truly is an outernational experience, a deep deep DUB Journey beyond the realms of Reggae! WWW, December 2007 - Nineteen crucial tracks full of love and romance! 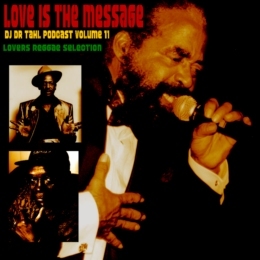 Even Marvin Gaye is present, as he rides Bob Marley's "Waiting in Vain" in what is another fine selection by DJ Dr. Tahl. 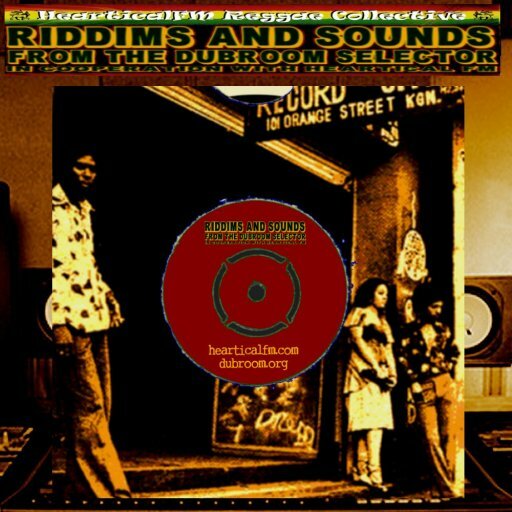 Sweet Lovers Music is no rarity within Reggae Music. From X-rated Dancehall (often referred to as "slackness") to sweet romance and everything in between, there is a Reggae tune about it. And when there is one, there are many! Of course, there is Gregory "Cool Ruler" Isaacs, whose name is more or less synonymous with Lover's Rock. There is Lincoln "Sugar" Minott, whose sweet soulful voice will out-sing just about any so-called superstar. There is Echo Minott, too, who has the dubious honor to have first coined the phrase "slackness" in one of his releases. 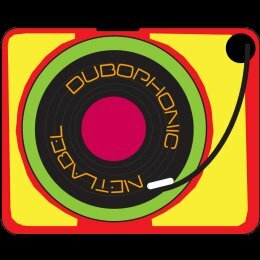 Of course they are all present in the 11th episode of DJ Dr. Tahl's excellent podcast, alongside a whole host of known and lesser known artists. There is even a track by Marvin Gaye, riding the "Waiting in Vain" riddim. WWW, November 2007 - Just like he did with his classic track "Marcus Garvey", Burning Spear takes his band into the Dutch studio and plays some crucial semi-live vibes into the multi-track recorder and video camera. 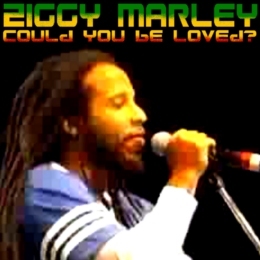 Winston Rodney is second to Bob Marley when it comes to his historical conquest of the western world with massive live performances that would appeal to the band-oriented audiences of Europe and America. He started as part of the vocal harmony group Burning Spear, but quickly went on for a solo carrier under the same name. Together with his "Burning Band", Winston Rodney still is a living legend when it comes to his performances and recordings. 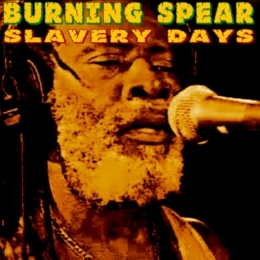 An interesting combination of a live performance and a studio recording can be seen in this professionally video-taped session in which Burning Spear delivers a few of his best tracks together with his crucial band. WWW, November 2007 - Nine minutes of what is claimed to be the last filmed rehearsal footage of the King of Reggae! Bob Marley was known to be kind of really strict when it came to his musical leadership during the times wherein he toured around the world as Bob Marley and the Wailers. Whether that is so, can be seen here on what is claimed to be the last filmed rehearsal of the band. 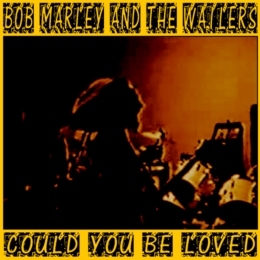 During the video we'll meet Bob Marley and the Wailers in the Criteria Studio's in Miami Florida (USA), during a rehearsal at September 14 1980. The vibes of the time are perfectly registered, even though the sounds and sights are not of the highest quality. But that is not of anyone's list of priority when it comes to viewing material like this. WWW, November 2007 - Will he be able to do it without the help of those that were there when this track was born? The former lead singer of Black Uhuru gives the answer at his performance at the German Chiemsee festival. 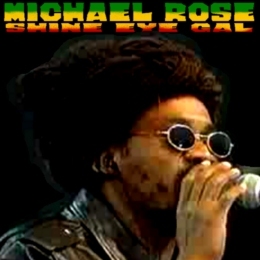 Yes, he's getting older: Michael Rose, the former lead singer of Black Uhuru whose voice turned out to become as similar with the name of the group as Sly and Robbie. His dreads are much longer and he has his own way of wearing them. His performance at Chiemsee marked the absence of those that were with him during that time as much as the brother's ability to lead a band and backing vocals into performing such a classic tune as the completely politikally inkorrekt Shine Eye Gal. 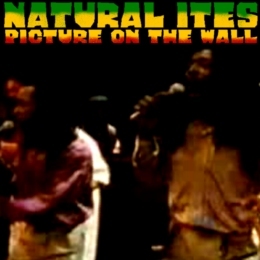 WWW, November 2007 - In spite of the successful "Picture on the Wall", Vocal Harmony Group the Natural Ites remain to be one of the more unknown Vocal Harmony Groups. Taken from a VHS tape recorded back in the 1980's, this video capture the Natural Ites somewhere in the era of Rub a Dub style. Picture on the Wall was first launched during the 1980's, when Vocal Harmony Groups were not born in the same frequency as in the decade before that. The Natural Ites took up the responsibility to fill up that vacuum and "Picture on the Wall" seemed to be an appropriate way to do it. 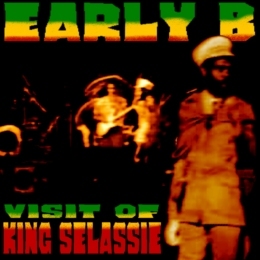 However, it remained to be one of the few titles known to a larger part of the (DUB) Reggae audience, even those that are into the Vocal Harmony sounds. A full blown Reggae Band backs them up, as they perform their successful tune. Even though the sound quality of the actual video is influenced by the law of decay that terrorizes creation ever since our ancestors took from that tree, the video will be a heartwarming experience of recognition and introduction to a fine Jamaican Harmony group. NOTE: One attentive reader of the Dubroom pointed out to the fact that the Natural Ites hailed from the UK, not from Jamaica. Massive thanks for the information, and we stand corrected! 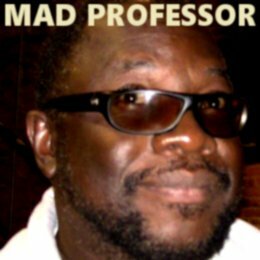 WWW, November 2007 - "Too much claiming of the word DUB without foundation", says the selector of the Ambassada High Power. 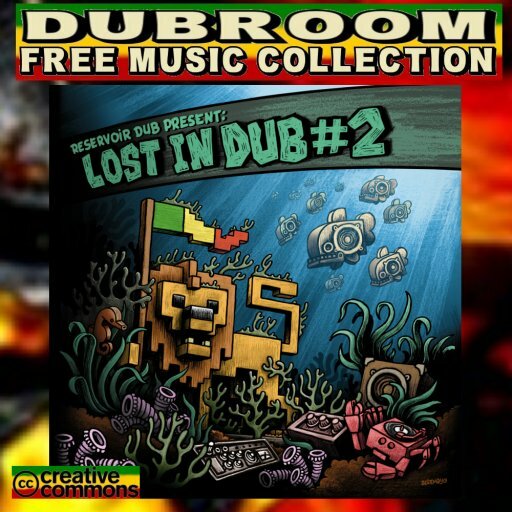 Subsequently, he delivers yet another foundational mix to the online (DUB) Reggae Massive. And yes, there's DUB too! 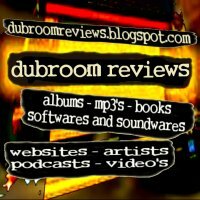 An Ambassada Hi Power Podcast is an experience. Each one of them will come with their own vibe, and that vibe is a dominant vibe. Even when you know the tunes, as they become part of the mix you'll hear a completely different track in a way. In "Pause For The Cause" there is an exceptional amount of well-known tracks by -obviously- a number of well-known artists. 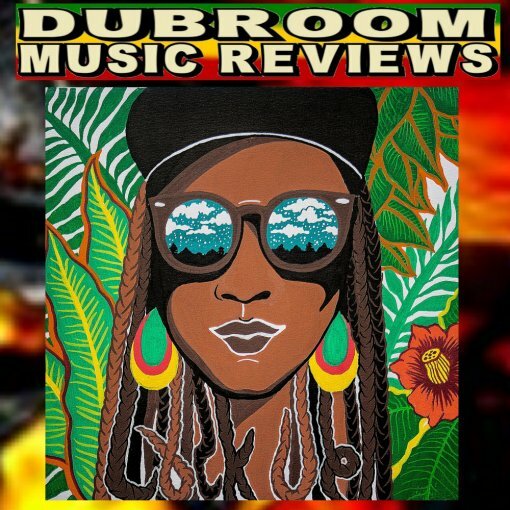 Jr Delgado's "Famine", "Children of JAH" by the Chantells, DJ Ian Irie makes us hear them in a completely different way. A Jimmy Cliff DUB stands out as well, when it comes to exceptional aspects of the 11th Podcast by the Ambassada. In fact, most tracks come with their DUB or DJ (on DUB) version, like Big Youth chanting over Dennis Brown's "In His Own Way". 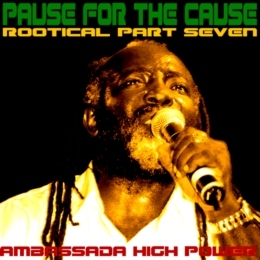 Roots Rockers galore in this one, another Foundational One coming from the UK based Ambassada High Power Sound System, who have been serving the (DUB) Reggae Massive with crucial music since the late 1970's! WWW, November 2007 - Germany is known to have been favored by Bob Marley, and so it is no surprise to see his son performing on one of the country's most popular Reggae festivals. South Germany, Bavaria to be precise. The place is Chiemsee, a magnificent lake and the location of one of Germany's most popular Reggae festivals. It's the perfect place for a performance by a son of the King of Reggae, given Marley's preference for Germany being one of his favorite U-ropean countries. Thanks to the Internet, a world-wide audience can now enjoy what otherwise would have been reserved for the ones fortunate enough to be able to receive the Bavarian Public Broadcasts: Ziggy performing one of his father's greatest hits. Himself being part of the Next Generation, his audience contains a large portion of youths as well. Enthusiastically, both performers and audience take Bob Marley's work into their generation and make it their own in their own special way.